Has anyone tried to cut sheets of mother of pearl, or even know if it's possible to do with a X-Carve? Should be fine with the tape/superglue method. I'll be doing some soon when I make a guitar and my plan is to reverse the design and leave a thin backing. After I flip and glue it into the fret board, I'll sand it down flush. That's what I wanted to use it for too What type of bit works best with it? I'm guessing it's pretty fragile. I have some .022 upcuts with a short loc. It will be a learning experience. I've only cut it by hand with a jewelers saw in the past so this will all be new for me. I am going to make a short walled box out of acrylic so I can flood the material with windex or the like. Yes, it's possible. I used it to make a tag for the guitar I built (I used another CNC when doing the actual headstock inlay) which is what encouraged me to order the x-carve, but the x-carve is more than capable of doing the same thing. I used the tape/spray adhesive method and the hardest part is still just removing the thin/fragile parts from the substrate without breaking it (even using a razor blade it's hard if you have really thin connections). I used .5mm bits and extremely shallow passes. The bits are so small and fragile that you have to be extra careful that no parts come loose or adhesive builds up on the bit - if that doesn't happen, you're golden, but if it does - your bit breaks immediately. I buy those bits at least 10 at a time from china on ebay - it takes like a month to ship, but it's super cheap. 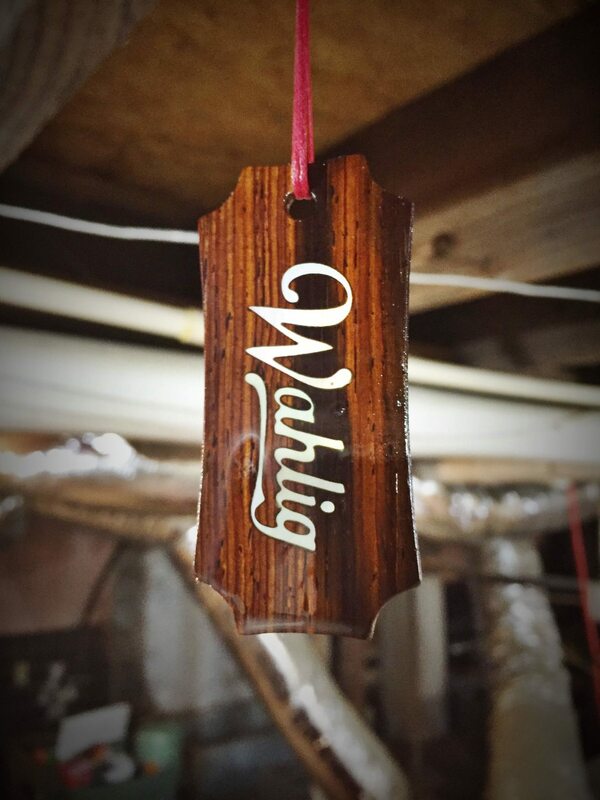 Here are a few pictures of the tag inlay and guitar I built. Hey Daniel, try some WD40 on the substrate to separate the two, works like a charm! Good tip - I'll give that a shot on the next build! Generally it's not a big deal, but the letter connectors in my logo are just so thin and fragile. There is also a solvent called Bestine that is made for thinning rubber cement. I use it for removing tapes, Super 77 spray, labels, etc. 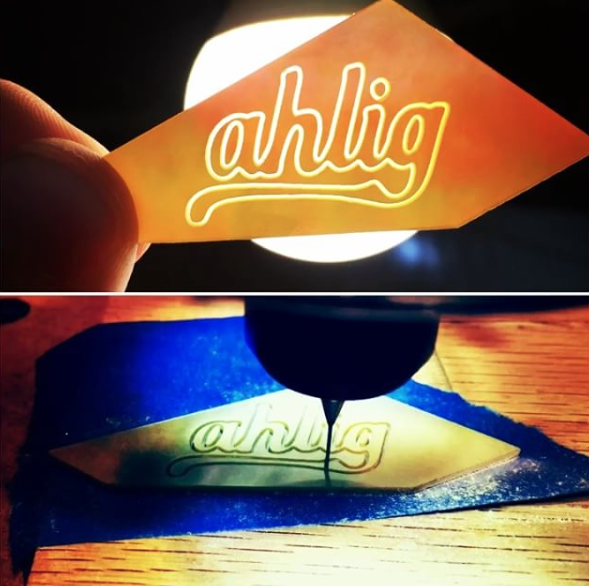 It is safe on most everything but gooey adhesives. Thank you Daniel. The detail in your work is simply amazing. Do you have a link to the bits that you use, or a ebay vendor name? There is also a solvent called Bestine that is made for thinning rubber cement. If you ever run out of Bestine and can't find it (Amazon no longer carries it) I have heard that it is identical to "Powerfuel" by Primus. Both are made from the chemical Heptane. Sold at many outdoors (camping) supply stores. The next time I see Powerfuel in the store I'll buy it and give a full review. That said - you can pretty much look up ".5mm endmill" (or .6mm/.8mm depending on how fine you really need your detail to be) on e-bay and almost all of the offerings will be from Chinese factories and seem to offer roughly the same quality. I usually go from the ones with "titanium coating" and such, but honestly - the bits are so fragile - they'll definitely break before you ever "wear them out". Again, I recommend buying at least 10 at a time, since they're usually like a dollar each and take 30 days or so to ship. Thanks Daniel, appreciate the help. Thanks, yes - I've done v-carve inlays before and they're excellent for many applications. For things like abalone and mother of pearl, it can be non-ideal, as generally those materials change appearance as you sand through them (usually getting duller/flatter after you've removed too much off the top. This can make it challenging to get to precisely the right depth while still maintaining the opalescent shininess you're looking for. 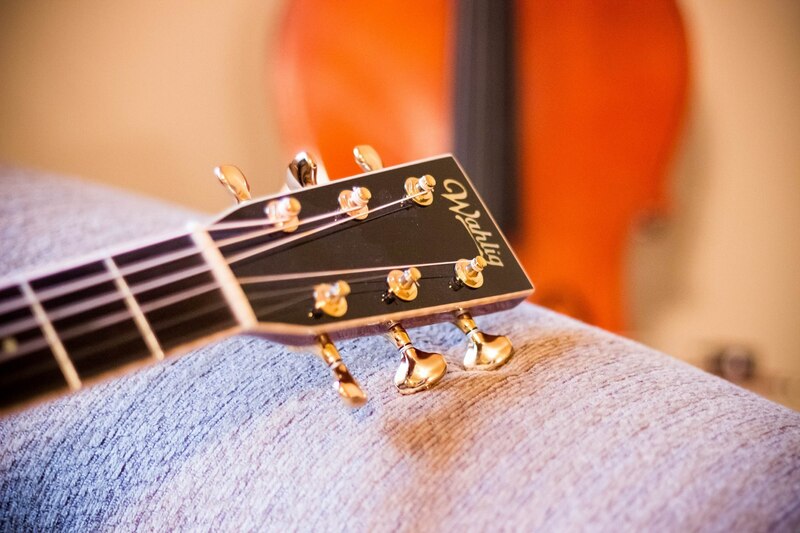 To my knowledge, no major manufacturers of guitars use inlay technique on shell inlays. For wood/wood inlays, though - v-carving is definitely a great way to go. Daniel, do you by chance get wholesale prices on parts? It's going to cost me a boatload to make the guitar I have planned. Sorry - didn't get a notification on your question. I don't get wholesale prices, no. If you share your general idea - I might have a few ideas, but in general - it's an expensive craft (though it's a wide spectrum). The guitar I built is valued around $3-5k (same wood combination made by Martin would cost about $8k), all of which is somewhat insane, but such is the world of high-end acoustic guitars. 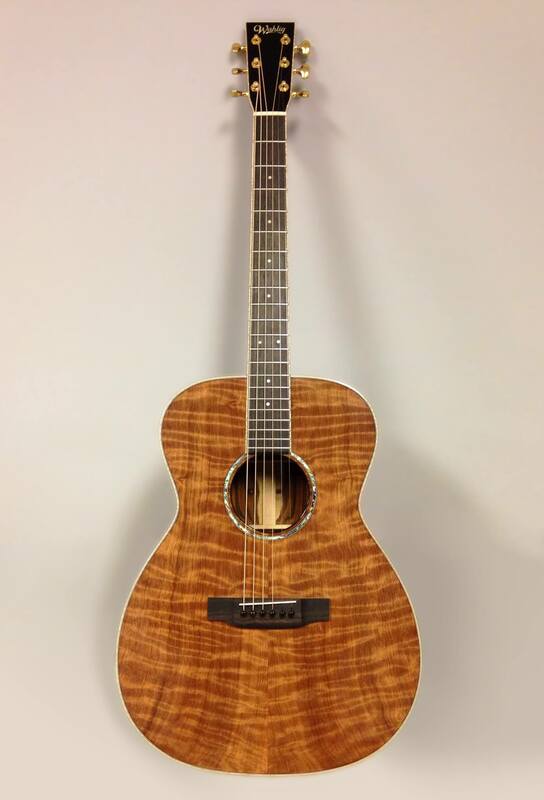 I probably spent around $1000-1500 on materials (cocobolo/curly redwood/curly maple binding/premium tuners/etc) - maybe a bit more, but I was going for over-the-top, because I knew I'd keep it forever. Perhaps the cheapest way to build a guitar (especially if it's your first one) is to start from a Stew Mac kit - this gets you some solid tonewoods and saves some of the more difficult steps, but is still a large and fun undertaking with plenty of room to customize. It's certainly possible to build on all sorts of budgets - for me, I just knew that I wasn't going to build a lot of them, so I want each one to be the best I could do. Let me know what you're planning and I'll see if I have any suggestions for keeping the cost down. 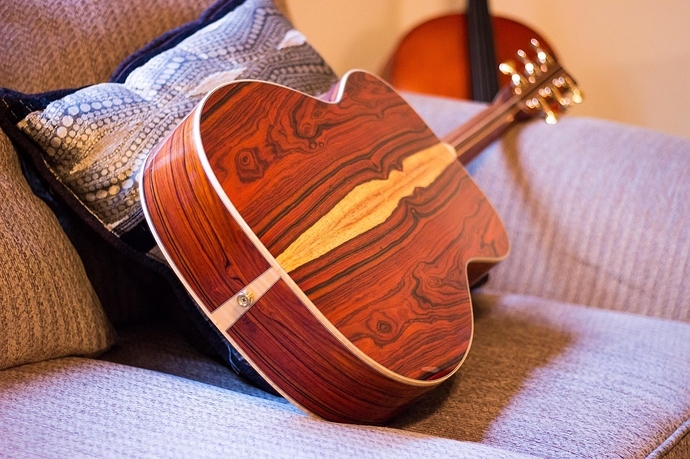 Here's a big part of the cost, btw - cocobolo back and sides. It's the hardware that really adds up fast. Kahler, Gotoh, EMG, etc. Ah, gotcha! Yeah, the hardware can definitely add up on electrics. Thanks! We were able to mill up a large billet of cocobolo into 5-6 sets and then keep 1 or 2 and cover the cost by selling the rest. I chose my favorite bookmatch out of the bunch, then focused on making sure I only sanded the show face at the end, and took all the thickness off on the inside face. The grain is definitely diagonal through the thickness of the wood, so the bookmatch shifts significantly if you sand too much! I am a luthier and I would recommend American Carbide for small bits. Speeds are about 4" per min. On small bits to keep from breaking them. I use .015 bits all the time. What kind of materials and ipm are you getting away with? Are you fretting with them?